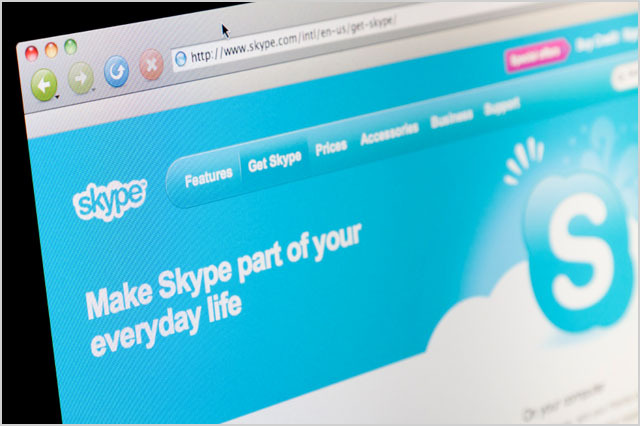 news In 2015, the recently elected Adelaide City Council became the first in Australia to live stream its committee meetings using Skype for Business’s module Skype Meeting Broadcast. In an effort to reach as many people in the constituency as possible, the new council had decided to use the technology available to create a new level of engagement with its constituents. “What’s really important for us from a political perspective is to reach out to as many people as we can,” says Central Ward Councillor Houssam Abiad. Before Skype Meeting Broadcast, the council was already looking for new ways to harness technology to improve its communications. “We were looking for a platform that could integrate technology that didn’t yet exist,” says David Carroll, Team Leader of Internal Communications Technology, Infrastructure and Operations. Initially, the council was using Lync – a predecessor to Skype for Business – but found that while it was “very holistic and fully integrated” there were shortcomings when broadcasting committee meetings, Carroll explained. “We had a lot of issues during the trial, and they all centred on the client and where constituents or members of the public were watching. Whether it be on an iPad or an Android device or Google Chrome or Safari or Internet Explorer, there was a need for a plug‑in,” he said. The arrival of Skype Meeting Broadcast, though, solved the previous issues, and the new platform was quickly adopted for meeting broadcasts. “We deliver a very high definition video and audio output and it works on any device whether it be a mobile phone, a tablet, Windows, Android, Apple or Chromebook,” Carroll said. The ease of setup and minimal equipment needed to set up the cloud-based platform meant that the implementation process was “stress-free” and went from test phase to production use within two weeks, the council said. Implementing the technology the easy part of the process, however. “In a council where you’ve got 12 members and 1,000 employees, change is challenging,” said Houssam. To make the new process simple for council staff, Carroll created a new procedure that was only three bullet points long. “Generate the meeting URL. We then publish that on our website and come meeting time, click on the link, start the broadcast. That’s it. It records magically in the background,” he said. Soon, the whole council was picking up Skype Meeting Broadcast being able to follow the proceedings from their phone or at home. Further, employees that need to be available for committee meetings can now wait to be called on their device via Skype for Business or can keep an eye on the live broadcast, rather than waiting outside the meeting. The broadcasts have brought increased attendance from the people of Adelaide too. Typically, each committee meeting is viewed by up to 130 people, with one meeting attracting 500 viewers. The public viewing gallery in the council’s meeting room can only fit about 50 people, so those figures represent the highest level of engagement the council has ever achieved. This is titled news but is obviously an advertisement. Please don’t engage in this kind of duplicitous churnalism. It might be an ad, but it’s presented as a case study. I’m interested in government & technology particularly when it benefits citizens. Very happy to read these. Occasionally.